Birthday wishes to an unrelenting hero ! | Corporate Social Negligence! Birthday wishes to an unrelenting hero ! 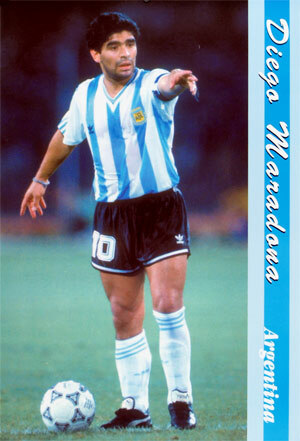 Today Maradona turns 48 and he never ceases to stun you. Be it on the field or off it, he is an enigma. His flicks and feigns stunned players world over, his affiliations with controversial and enigmatic leaders strengthened his rebel image, his addictions took him to the verge of death. Still he moves on… the latest buzz is that he is going to be appointed as the manager of Argentinian football team. Here in India after the 1986 World Cup in which he captianed Argentina , some even stopped playing and watching local football. They were so bemused about the kind of skill and prowess with which he handled football that some here thought that they were not even good enough to kick a football. He is a real footballing hero that i have always looked up to….. relish some of his exploits here in this video- a short one, when he led a nondescript Italian club; Napoli to their zenith.